Today I am going to share very simple, quick and elegant spicy fried boiled eggs. 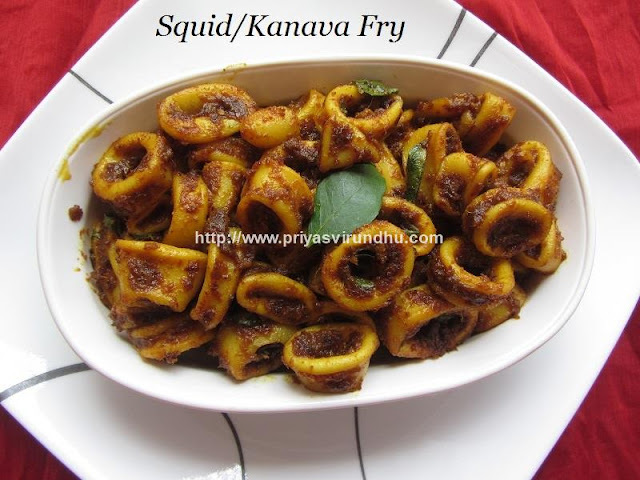 It is a very flavorful and quick recipe that can be made in a jiffy. This is one of my husband’s favourite loves to have it on Sundays. 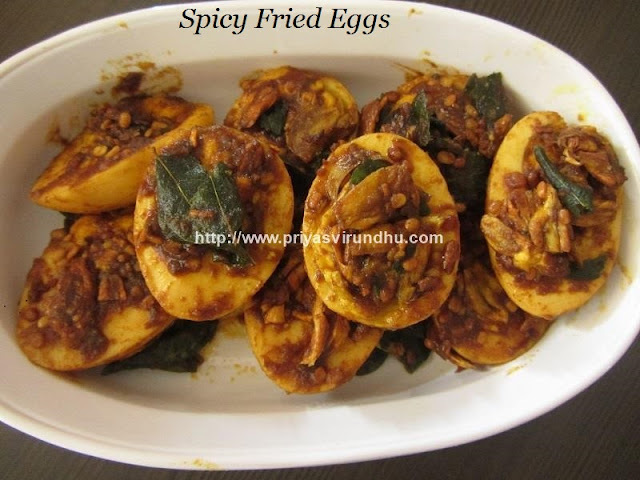 Do try out this lovely Fried Boiled eggs and post your comments here. Meanwhile do check out other interesting Egg recipes and Non Vegetarian Recipes here. Kola Meen Varuval with coconut milk is one of my mom’s signature recipes. As my mom hails from Nagapattinam [where fish is a staple food], she makes different kinds of fish, each with different methods of preparation and unique taste. This kola meen varuval is one such recipe. I am really happy to share with you all my favourite fish fry. Do try it out friends and post your comments here. 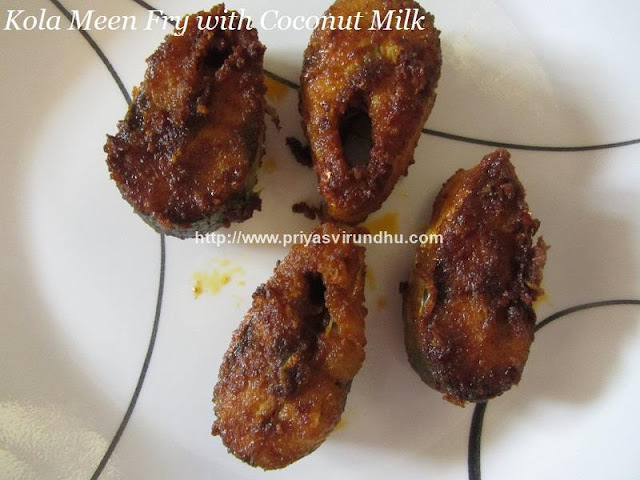 Meanwhile do check out other other fish and non vegetarian recipes. 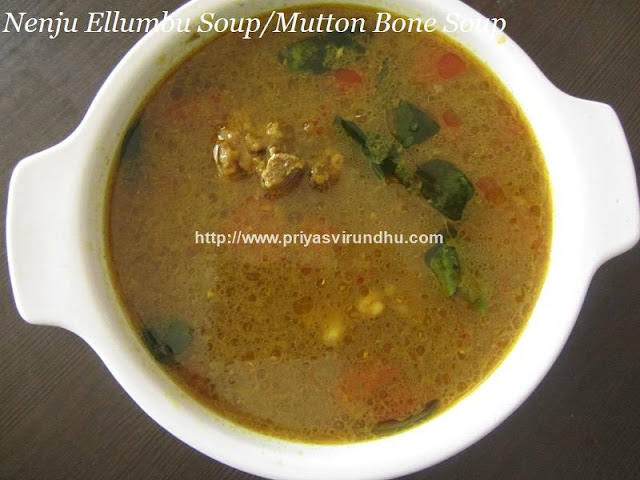 Are you on the lookout for a comfort food, then yes here it is – Nenju elumbu soup/maarkanda ellumbu soup/mutton bone soup. My mom always makes soup during weekends and serves it as mid-morning snack. Not just this soup, she also makes nenju ellumbu sambar which I will be posting soon. You can add this soup to white rice, mix thoroughly and feed it for babies (above 8 months). I used to feed my kids mutton and chicken soup after they turned 8 months old, and they used to love it. Just adjust the spice level if you are feeding it for babies, you can add few drops of ghee and feed them. This is an excellent remedy for cold, cough, for people recovering from illness and builds strong immune system. Not just that it can be served during cold winter days which in turn refresh your mind and body. The perfect blend of spices cooked along with the bones makes it flavourful and irresistible. Do try out this traditional and authentic Nenju Ellumbu Soup and post your comments. Meanwhile check out the South IndianChicken Soup which I have posted earlier here. Today with not much of introduction I am going to share a very healthy Zucchini & Potato Egg Omelette. 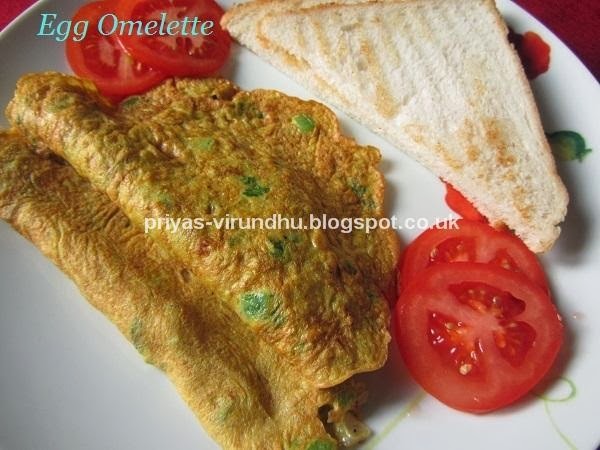 It is a very healthy and filling omelette can be served for breakfast along with two slices of bread. 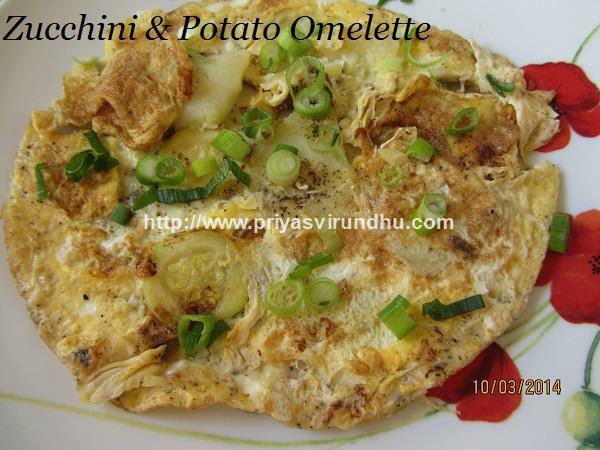 Do try this healthy omelette and post your feedback. Check out other interesting and delicious Zucchini Recipes here. Wishing all my muslim friends, readers, followers and visitors a very “Happy Ramadan”. This Kanyakumari Chicken Fry is my special treat for this Ramadan and I hope you will all like it. After so many months I am going to share an authentic and typical TamilNadu recipe which I came across in a TV show. 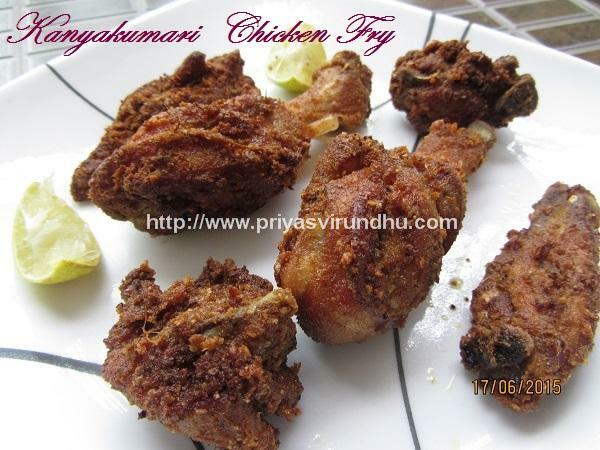 It is really a tempting and addictive chicken fry from the town of Kanyakumari. 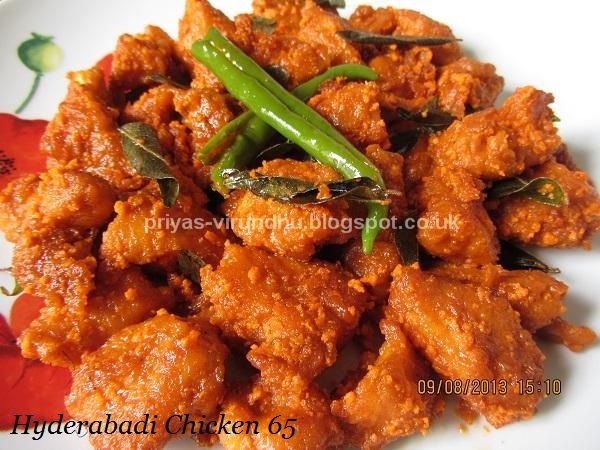 This chicken fry is similar to the chicken 65, but we need not add corn flour or rice flour as binding agent. Here white sesame seeds powder is used along with the masala and taste after frying the chicken is just awesome. Not just that , chicken increases the body temperature and the sesame seeds acts as a coolant and suppresses the heat. Do try out this Kanyakumari Chicken Fry and post your feedback. Do not forget to check out other Non-Vegetarian recipes here. 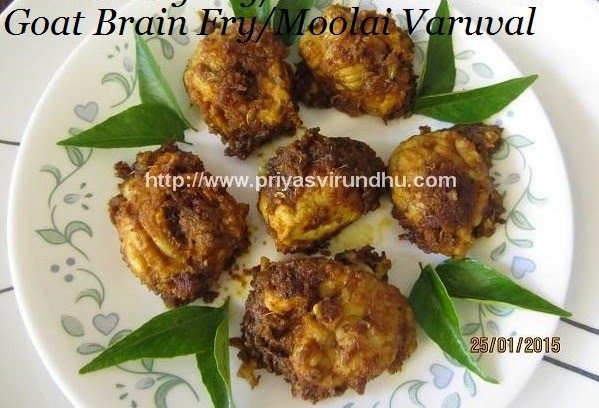 Goat brain fry/Aatu Moolai varuval is a very simple, quick and delectable dish that can be made in minutes. This recipe is my mom’s special, that I have always enjoyed since my childhood. Goat brain is very soft and delicate, has a buttery taste. When it is marinated and cooked with fresh ground spices they taste heavenly and just melts in your mouth. Make sure you try this rich, creamy, spicy Goat Brain Fry and post your feed backs. Though nowadays I am not able to post recipes regularly, I thank each and every one of you for your continuous support and encouragement. 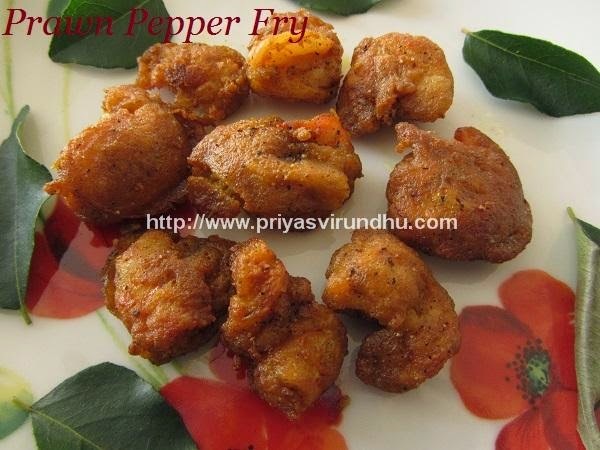 Today I am going to share one of my favourite sea food recipes - a simple, quick and delectable Prawn Pepper Fry. Do try it out friends, you will surely love it. We are always on a search for new and delectable starters either for party or for evening snacks or even as side dish. One such easy, quick and tempting starter is Chicken pakora found in most of the restaurant menus. This chicken pakora is very addictive and you will finish the whole plate in no time. 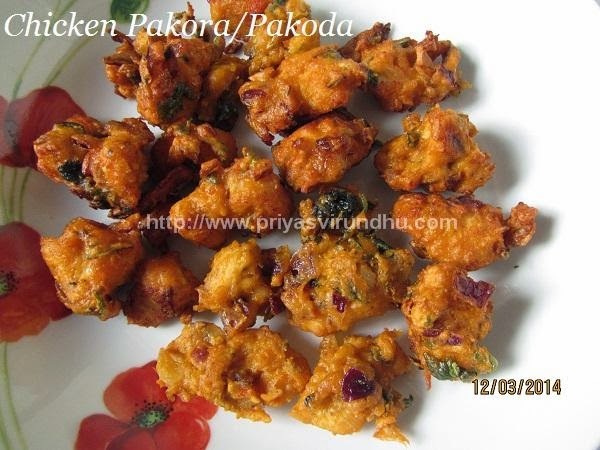 Do try out this irresistible chicken pakora and let me know. The best part of this recipe is, even the bachelors can make it in no time. 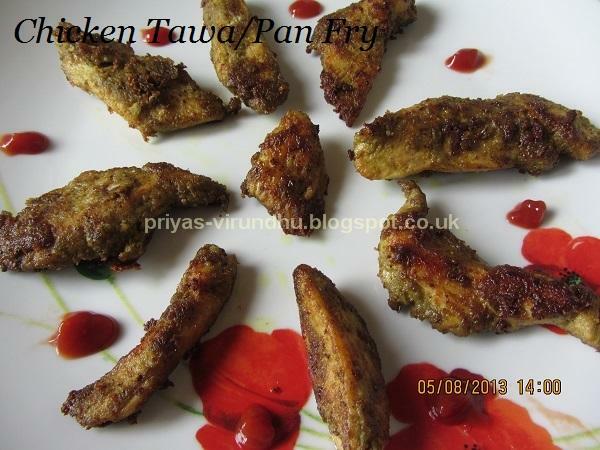 Here’s how to make Chicken Pakora with step by step photos…. Anchovies/Nethili Meen are small, shiny, silver fish found in the Atlantic, Indian and Pacific Oceans. They are found in temperate waters and are very rare or absent in very cold or very warm seas. Nethili meen/Anchovies is a versatile fish with different dishes are prepared like Nethili meen kuzhambu, Nethili Meen thithippu, Nethili karuvadu fry etc. 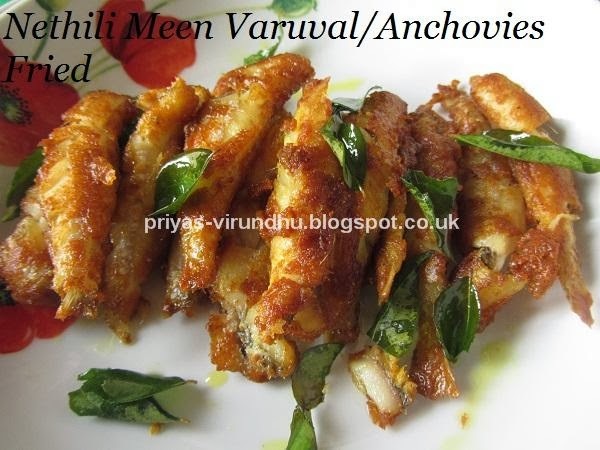 For now I am sharing a very easy and quick Nethili Meen Varuval/Anchovies Fry. We are always looking to make some snacks for the kids especially after school. To satisfy their taste buds and give them something interesting is always a challenge. Today I was running out of many groceries in my kitchen and was really lazy to go shopping. It is really cold and windy, most of the days I just don’t want to step out of the door. I just had some potatoes and tuna fish [cans], so ended up making cutlets. I have previously made fish cutlets from fresh fish. This is my first time using tuna fish from a can, I never buy canned fish. But I have so many friends using canned tuna, so I just wanted to try it once. We all liked it a lot, it was awesome. 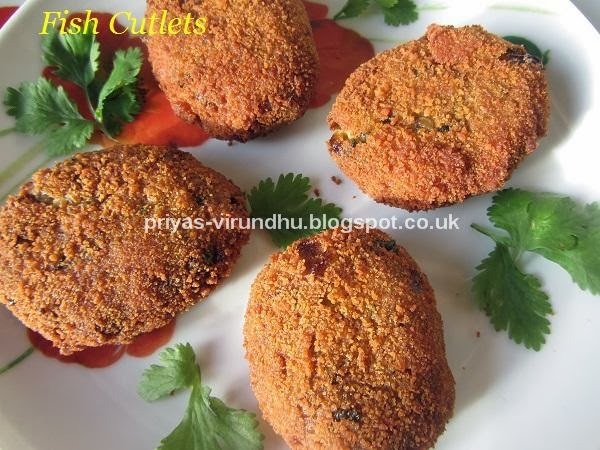 Here’s how to make Fish Cutlets with step by step photos…. I make eggs every day in my house, it could be just regular fried eggs, boiled or scrambled ones, I think it is the same with all of you. But these omelettes are my life saver. When I am really tired of cooking and very lazy, I just make these omelettes and serve it with simple rasam and white rice. I also make these omelettes and serve them with bread and some tomatoes for breakfast. Anyone can make this filling, simple and quick egg omelette without any hassles. Hyderabadi Chicken 65 is a mouth-watering and delicious dish I tried in my friend’s house long time back. I made it several times at home, never got a chance to click some pics. Since the weather is getting cold, I made this scrumptious Hyderabadi chicken 65 for our snacks with a hot cup of tea. So I am sharing my friend’s Hyderabadi chicken 65 with you all. This is a very quick and easy chicken tawa/pan fry that can be made in 2 simple steps. Chicken tawa fry serves as very good appetizer, kid friendly and lovely side dish for any meal. So why wait, just check it out and try it, you will surely love it.